The neutrophil to lymphocyte (NLR) and platelet to lymphocyte (PLR) ratios are markers of systemic inflammation with uncertain prognostic utility. Thus, we conducted a systematic review of NLR and PLR as prognostic factors for overall survival (OS), progression-free survival (PFS), and local control (LC) of patients with stage 1 non-small cell lung cancer (NSCLC) following stereotactic body radiotherapy (SBRT) with curative intent. The EMBASE, Cochrane Library, MEDLINE, and PubMed databases were searched from January 1996 until September 2017 for primary research studies and systematic literature reviews that reported pre-treatment NLR and PLR of patients with stage 1 NSCLC and OS, PFS, and/or LC of patients following SBRT. An electronic database search identified 292 articles, of which five were eligible for inclusion. Cutoffs for a high NLR ranged from 2.18 to 3.155 while cutoffs for a high PLR ranged from 146 to 187.27. Four studies reported outcomes related to disease control and had mixed results as to the utility of the NLR and PLR as a prognostic factor. Four studies analyzed the association between high NLR cutoff with OS and all found a statistically significant association. Three studies examined a high PLR cutoff and all found a statistically significant association with worse OS. NLR and PLR appear to be relevant prognostic factors for OS following lung SBRT in stage I NSCLC. They may serve as accessible and inexpensive tests to aid in clinical decision-making but prospective validation is necessary. • NLR and PLR, when dichotomized as high versus low values, may serve as useful prognostic factors for OS in early-stage NSCLC patients treated with SBRT. • There is insufficient evidence on the utility of NLR and PLR for prognostic factors for disease progression. • A reasonable cutoff value to validate prospectively would be 3.00 and 155 for a high NLR and high PLR respectively. Dr. Meredith Giuliani declares funding from Elekta Inc. and AstraZeneca that is unrelated to this work. Dr. Swaminath declares an educational grant from Accuray and advisory board membership from AstraZeneca that is unrelated to this work. Daegan Sit, Thomas Raissi, Percy Lee, Narek Shaverdian, and Cindy Walker-Dilks declare no conflicts of interest. Statement of informed consent was not applicable since the manuscript does not contain any patient data. 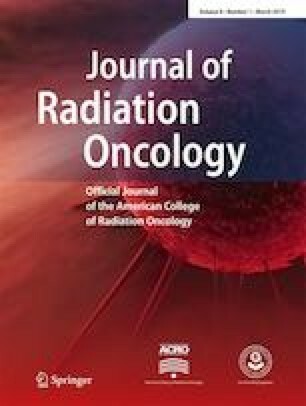 In patients undergoing curative-intent stereotactic ablative radiotherapy for stage 1 non-small cell lung cancer, is the neutrophil to platelet ratio or the lymphocyte to platelet ratio a significant prognostic factor for overall survival, progression-free survival, or overall survival?